“The key to good health is directly attributable to an active lifestyle and healthy diet. Dr. John E. Croghan earned his medical degree from Rush Medical College and completed his residency in Internal Medicine at Loyola University Medical Center. He completed his first fellowship in Geriatric Medicine at the Johns Hopkins University School of Medicine, and a second fellowship in Rheumatology at George Washington University Medical Center. 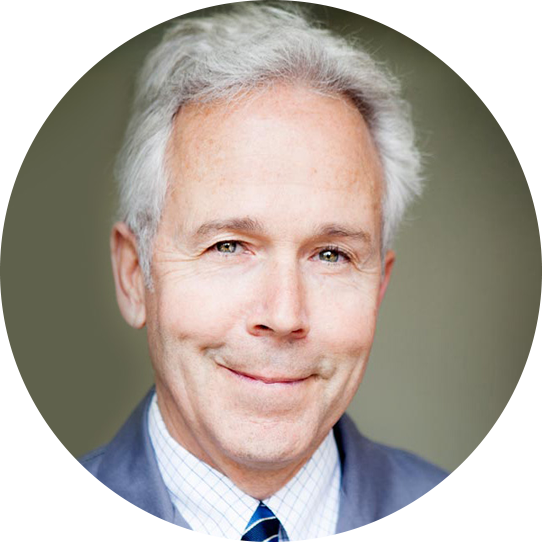 Dr. Croghan is triple board certified by the American Board of Internal Medicine, Rheumatology and Geriatric Medicine. What drove you to launch Dedication Health, a concierge medical practice? I started Dedication Health to offer innovative, personalized primary care medical service and convenience to my patients. The high-volume and impersonal nature of today’s medical system simply does not offer what each patient fully deserves. What qualities or benefits of a concierge medical practice might encourage a person to join? There are many enticing qualities of a concierge medical practice. A professional and caring staff that answers the phone promptly and is always eager to assist patients, as well as the convenience of same-day appointments in a welcoming and modern office that is both spacious and comfortable. At Dedication Health we not only offer our vast clinical experience and expertise; but memberships are limited, ensuring that our patients receive the full commitment and attention of our staff. We are very proud to have created a stress-free medical environment focused on service and excellence, unlike today’s large health systems that typically see a new patient every 11 minutes. What Dedication Health benefits are members enjoying the most? Our members enjoy being part of a modern medical practice that attends to their medical needs quickly and conveniently. Our members have very little wait time before appointments, and when in an appointment, they are provided as much time with their physician as they need. We are very deliberate in our efforts to take the extra time needed to get to know each of our patients and their respective medical concerns. Having a pharmacy on-site that can quickly fill convenience prescriptions and prior authorizations is also an added benefit. Additionally, having a lab test or x-ray or CT scan is easy because we offer those services right in our office — with a quick turnaround on results. Our members also really love the valet parking — just pull your car up to the front door, and we will quickly park and retrieve your car. And, finally, the after-hours access to a physician via text, cell, or email is one of the most popular benefits. What about working with your patients brings you the most pleasure? The personal care and attention that we are able to provide to each and every patient. I really enjoy guiding each patient’s well-being with an effective, personalized preventative health plan and, in the times when they may not be well, caring for them with a comprehensive course of treatment. And, of course, developing long-lasting friendships with each patient and their families. What factors should people be aware of when considering a concierge medical practice? Concierge medical practices, such as Dedication Health, have a low-volume, high-touch service mission and are more affordable than many people realize.